New Gizmo by Don Babilon: Fix Up The Fixer Upper Faster! This mod speeds up the process that is required to finish the Classically Cool Fixer-Upper Car, a premium item that came with the Store world of Roaring Heights, from a heap of rusty metal to a driveable car. It's a very simple XML tuning file. By default fixing the Fixer Upper Car will take 20 in-game hours, or 20 sessions, respectively. I changed this to a less nerve-wrecking duration. This mod changes the xml with the instance 0x090A0375B1465E8D inside the carFixerClassicRundown package (0xfd5bc411259c4a70ae7c8568439bd853.package). This xml contains most of the tunigs for interactions with the car, except for speed. It will conflict with any mod that changes the same resource. But it is in any case compatible with my Faster Vintage Car mod. Quite obviously you will need the Store object for this mod to have any effect. This mod comes in two flavours. The first one halves the fixing to 10 hours, the other one to half of that, 5 hours. I am a bit reluctant to shorten the time even more, as there is also a bug connected with that. If you cheat the car to nearly finished with DebugEnabler, for example, it becomes likely that the car is broken and rendered into a Failure Object and mods like ErrorTrap will destroy it after a while. I don't know whether the same can happen if you reduce the time required for fixing the car to, say, one hour with this mod. But at least the 5 hour version of this mod behaves well and my Sims have kept their cars so far. I left the duration of each session intact, but it is also possible to change that to more agreeable numbers. 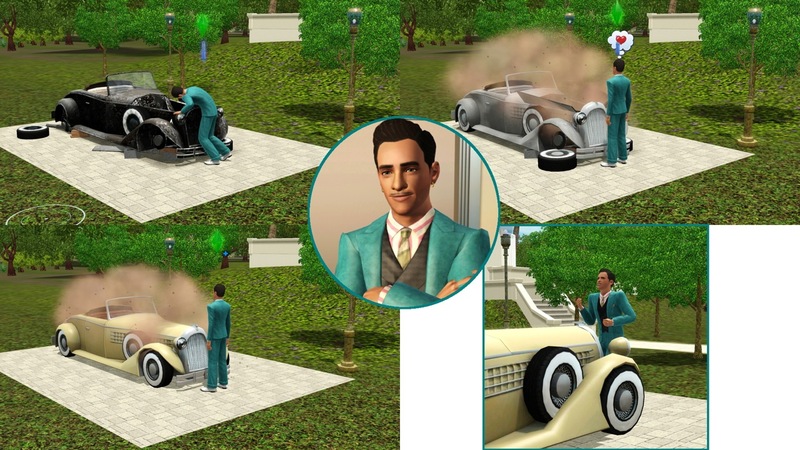 If you installed the object as sims3pack this mod will go into your usual mod location. If you installed the object as packages you will probably have to place the mod in an Override folder instead. Additional thanks to Arsil and Buzzler for helping me to get this whole modding business started. If you upload this mod somewhere else as your own and charge money for it make sure to send me an invitation to your funeral after you've succumbed to alcohol and hookers because of all the money you earned from it. 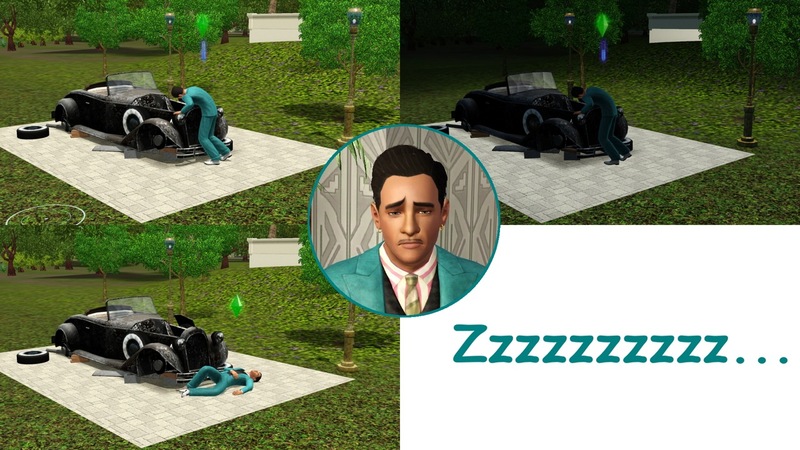 See: Game Help:TS3 CC Basicswiki for a full guide!